Inside the Denver Mint, there are many artifacts from the United States Mint’s 225-year history. One of the things you might find is a replica of the first coining press from 1792. 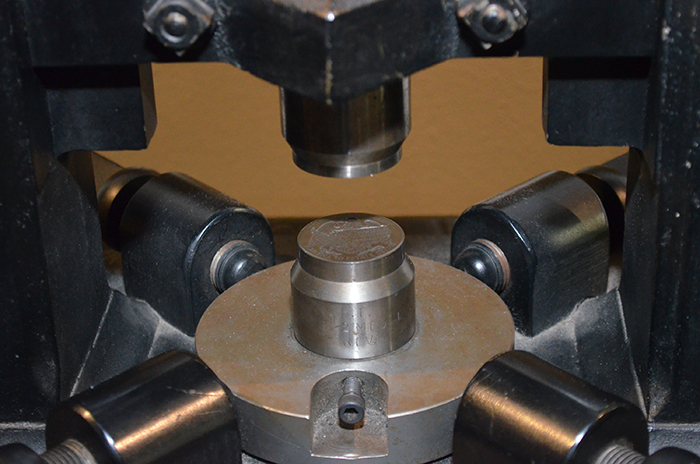 For the first 40 years at the Mint (located in Philadelphia), coins were laboriously struck on screw presses solely by the strong arms of the coiners. Working 15-16 hours a day, six days a week, they were able to produce only one million coins in the first three years. Adam Eckfeldt, who was hired to build machinery for the Mint, built a coining press that allowed more coins to be made with less effort. 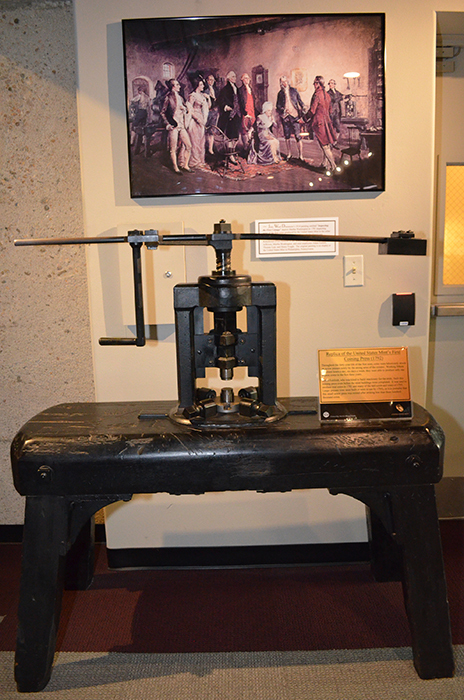 This coining press was used to produce trial coins in 1792 and many of the half-cents and cents of 1793. Larger presses were soon built (four were in use by 1795), so it is probable that this small screw press was retired after striking less than 300,000 coins. The replica press at the Denver Mint contains dies that were used to produce a commemorative medal to honor the San Francisco Mint. 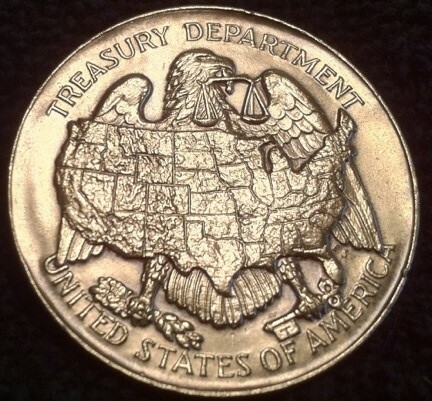 The Mint began striking bronze medals in the 1970s. The dies contained in the replica screw press were part of the “Mint Medals and Historic Buildings” series and is cataloged as medal number 751. When a portion of the Old San Francisco Mint was re-opened for public visitation in 1973 as a museum, it featured an old coining press on which visitors could strike their own souvenir medal. 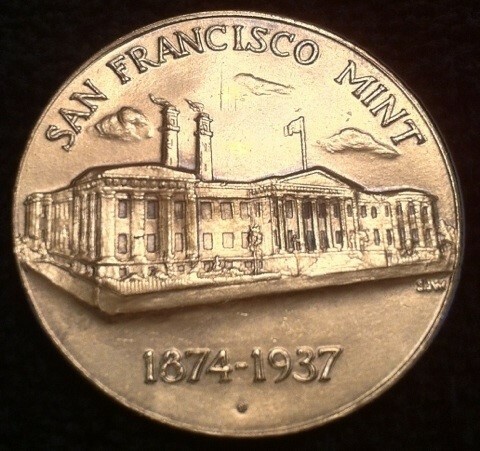 The Old San Francisco Mint building design seen on the medal’s obverse was created by Sherl Joseph Winter, an engraver at the US Mint in Philadelphia; you can see his initials “SJW” just below the mint building at the far right. The Old Mint Museum was closed in 1993. From time to time, the Mint has struck additional copies of the medal in Philadelphia; these medals do not have a mint mark. Similar medals have been struck for each of the Mint facilities over the years.